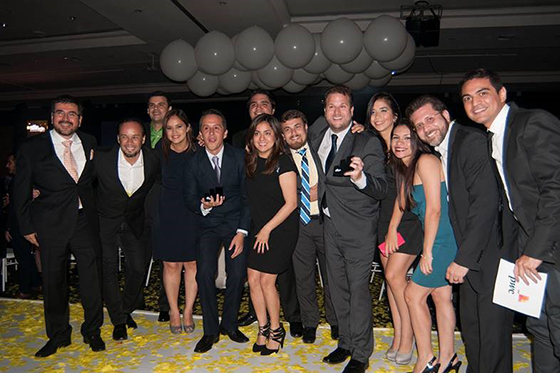 The 12th edition of the Effie Awards Ecuador took place on October 6th in the Centro de Convenciones de Guayaquil. The brands that won a Gold Effie were: Clorox Power Gel, Arroz Súper Extra, Café Buen Día, Gustadina, UEES, Claro, Movistar, Pizza Hut, Banco del Alimentos Diakonía, Samsung Galaxy Serie A, Pilsener Light and Banco Guayaquil. The campaign that won the Grand Effie was “Arroz Con es el Plato Nacional” from Arroz Súper Extra. The entries in Ecuador are submitted in 15 separate categories, including: Products, Beverages – Alcohol, Beverages Non-Alcohol , Services, GoodWorks – Non Profit, New Product or Service, Sustained Success, Institutional, Small Budget, BTL, Internet – Products, Internet – Services, Media, New product-Service and Public Relations. The Call for Entries were held through August. Client and agency teams worked together to submit entries for campaigns that ran between January 2014 and April 2015. A complete list of winners can be found here.